400 copies pressed on black vinyl, 100 on white vinyl. All tracks have been remastered in 2017. Tracks A1 to A6 were taken from "Unburied Abominations" demo 2014. Recorded in Helsinki & Uantaa, Finland, January 2004. Tracks B1 to B6 were taken from "Resurgence Of Morbidity demo 2005. Recorded at the Tomb of the Cadaver, May 2005. Track B7 was taken from unreleased destroyed "Coffin Defiler" demo II. 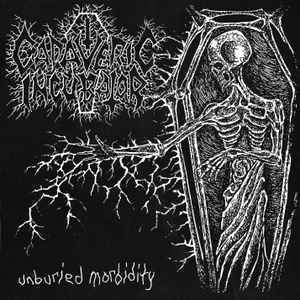 Recorded at the Tomb of the Cadaver, December 2005.